I've had my Zenfone 5 for almost a year now. I love it. Don't get me wrong. I love my Zenfone 5 though sometimes, it can be a pain to deal with because of the bloatware but overall, I love my Zenfone 5. I've dropped it more than 10x I kid you not and every single time, it lets me breathe a sigh of relief because it stays intact. There is no scratch and it is just durable which is important for someone like me who is extremely clumsy. Around last week though, I got an update on my phone and it promised me better performance so I went ahead and updated my phone's firmware. After a few minutes, I am ow on ANDROID PIE. Well, here's a few things that I noticed. Better Application Management – it seems that with the Android Pie, my icons have been rearranged so that the ones I frequently use are the ones at the forefront. I don't need to scroll anymore just to get to the ones that I most use which saves a lot of time. Adaptive Battery – My phone has finally learned all about battery usage and ot now prioritizes the allocation of the energy that I use on the right app that I need. Adaptive Brightness – automatic brightness adjustment according to my usage. I used to have an app for Bluelight but I've actually deleted it yesterday when I realized that I no longer have a use for it. I can now easily use my phone in my room even at night and not hurt my eyes. YEY! Intuitive Navigation – The redesign of the navigation system makes it simpler to use for faster switching of apps. This one has been really important to me because when I do mobile banking, I sometimes have to switch between apps to get the account number and the improvement has been truly wonderful. 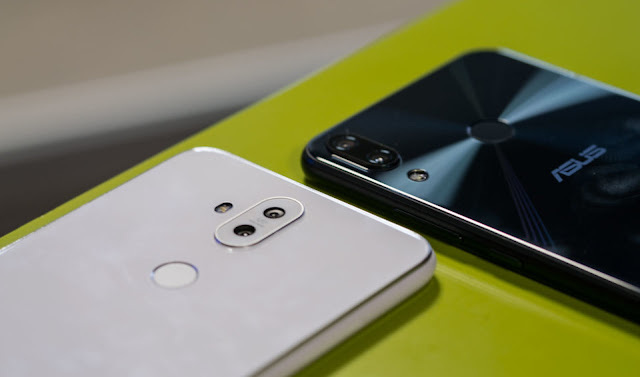 Performance Improvements – The Android Pie 9.9 provides better user experience, support for the latest OpenGL and Vulkan APIs for better gaming and heavy-app performance so any mid-level gamer who may be using the Zenfone 5 for gaming purposes will be extremely pleased. If you haven't updated your Zenfone 5 to Android Pie, you really, really need to. Should I do a No-Buy Year?